Pack of 3 rope bowl made of 100% cotton decorated with colored fabrics, in 3 different sizes. 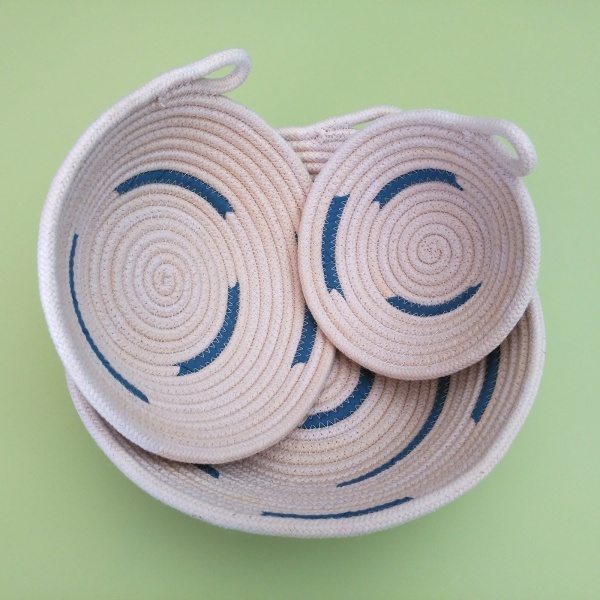 Ideal for decoration, organizers, etc. You can choose the color that you like most of those available at any time. 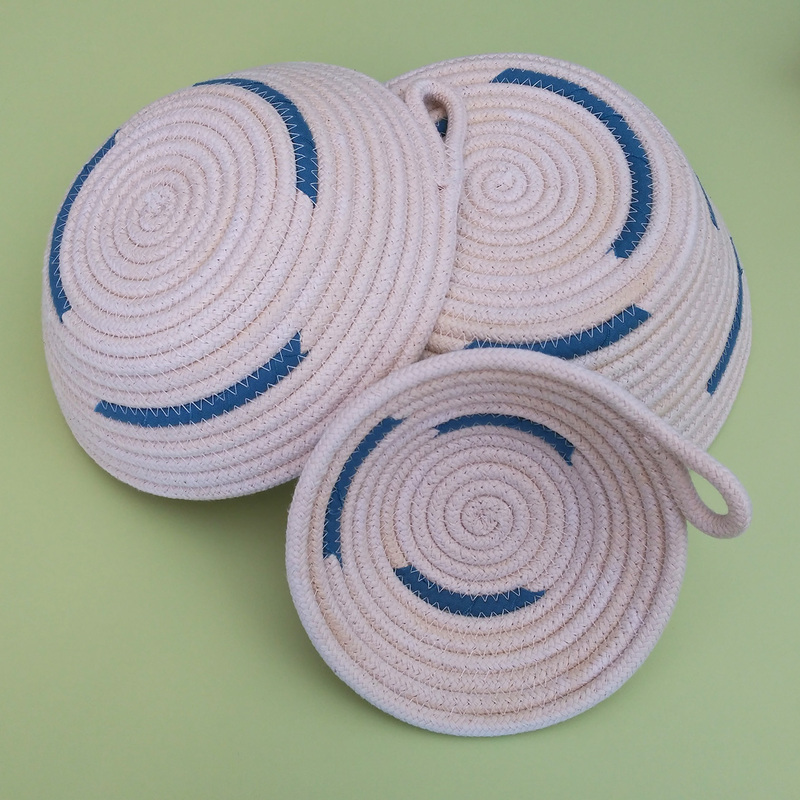 6mm rope 100% cotton, which has been washed so it does not meet when the customer wants to wash it. All of my products are handmade by myself. All the materials are washed and ironed previously so that they do not deform with the use that the client can do. They are made in a home free of smok and pets. 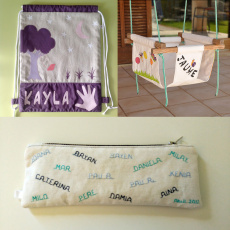 Do you like any of my products but want to customize it? Do you want other colors, sizes, with an applied name, …? 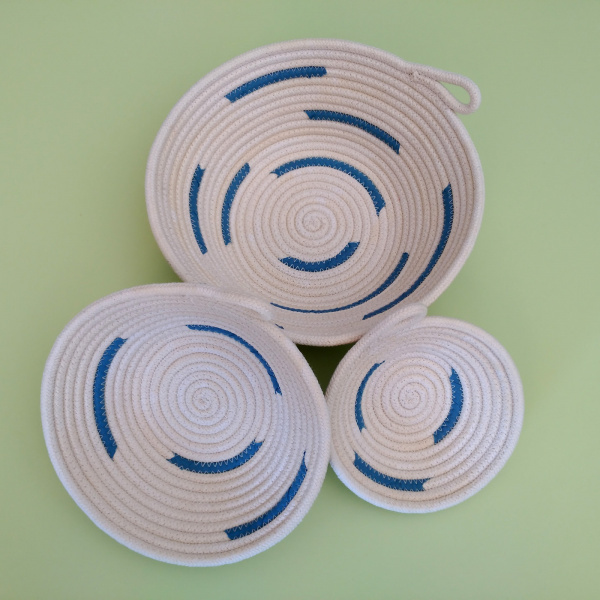 Are you interested in any of my creations that you can not find in the store? 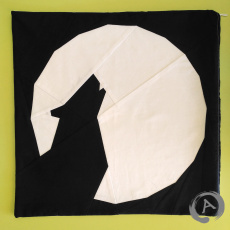 Do you have an idea of quilt, accessorie, decoration … and do you want to bring it to reality? 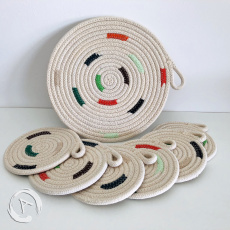 If you like natural and handmade products, here are a coiled rope mat (mug reug) and 6 coasters. Accessories to give a natural and colorful touch to your home, ideal for a gift now that Christmas comes or for any occasion. 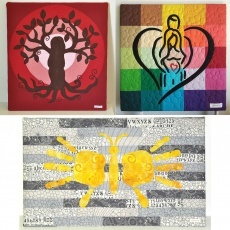 Do you want to make an original gift with a specific motive or topic? Do you want to remember a special moment? or just materialize an idea that you have in mind? The fabric creations have a great warmth, which thanks to the quiñting that is made on them take on a relief that seems to come alive.